One of our absolute favourites, a lovely traditional family-run hotel right in the centre of this charming village - the original Courchevel with its quaint narrow streets, chocolate-box chalets and disproportionate number of excellent restaurants. Refurbished and remodelled in summer 2016, it promises to be even better than ever. 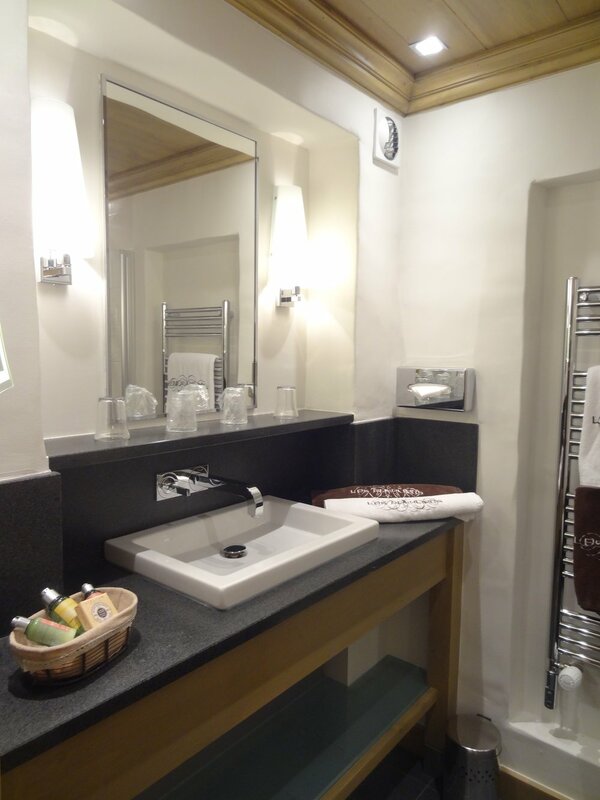 The en-suite rooms are finished to a high standard with lots of wood in evidence and views onto the mountains or village. There is also a small Spa with sauna, Jacuzzi and Hammam steam room available to guests. The large downstairs lounge is one of the best kept secrets in Courchevel, with its comfy sofas and armchairs and huge roaring fire it is a great place for an aprés-ski glass of something warm(ing!). And the Hotel's in-house restaurant, Le Table de Mon Grand-Père, attracts many people from outside the hotel owing to its consistently excellent quality of food, extensive cellar and the very friendly and entertaining staff. The main Praz and Foret lifts, directly linking Le Praz with Courchevel 1850 and the Meribel valley respectively, are 100m away, and it is quite possible for good red-run skiers to ski back to within 50m of the door. Helpfully, the Praz gondola runs until after 5pm enabling the tired and/or nervous to descend in total safety! There is also a regular free ski bus linking all four resort levels, which runs until after midnight. Put simply, the Peupliers represents excellent value for money for anyone not wanting the more ritzy offerings in the higher resorts. Fantastic atmosphere and prime location in a very pretty Alpine village offering easy access to the slopes of Courchevel and beyond. No surprise whatsoever that so many guests return year after year.